This circuit consists of a single transistor as amplifier and it gives a nice amplification to weakest and unipolar signals for feeding to a real amplifier. The center of this circuit is a BC547 OR BC548 transistor and the rest of the circuit is few resistors, and capacitors. 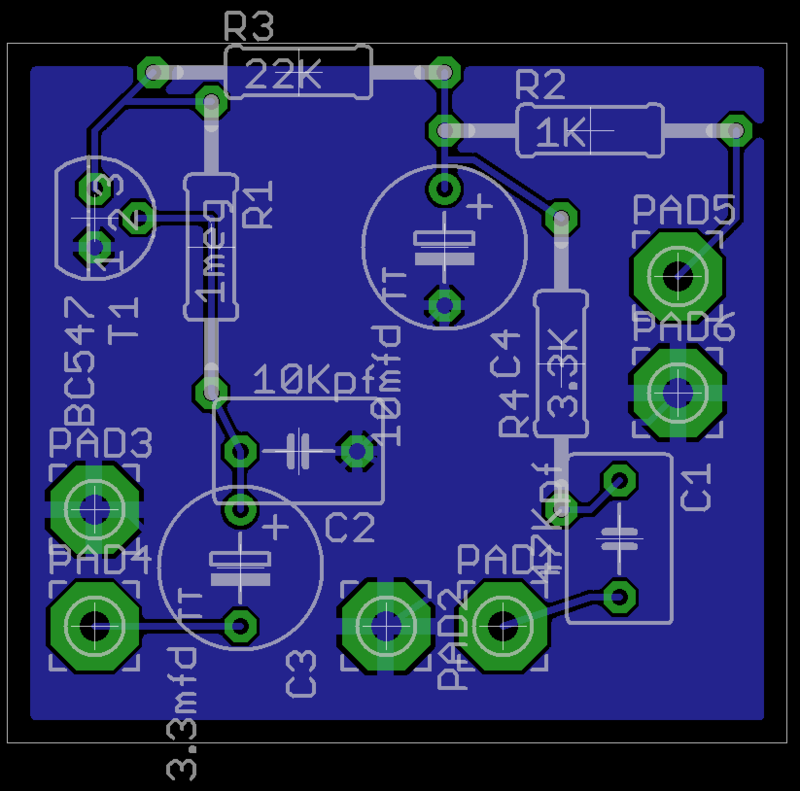 The diagram and also the PCB layout is below. Hi sir, i am made this circuit but sound is not requard, i am powerd this circuit 12v 1A transformar plz give me a sugation….. If sound is not required, why you made this circuit? It’s still unclear. 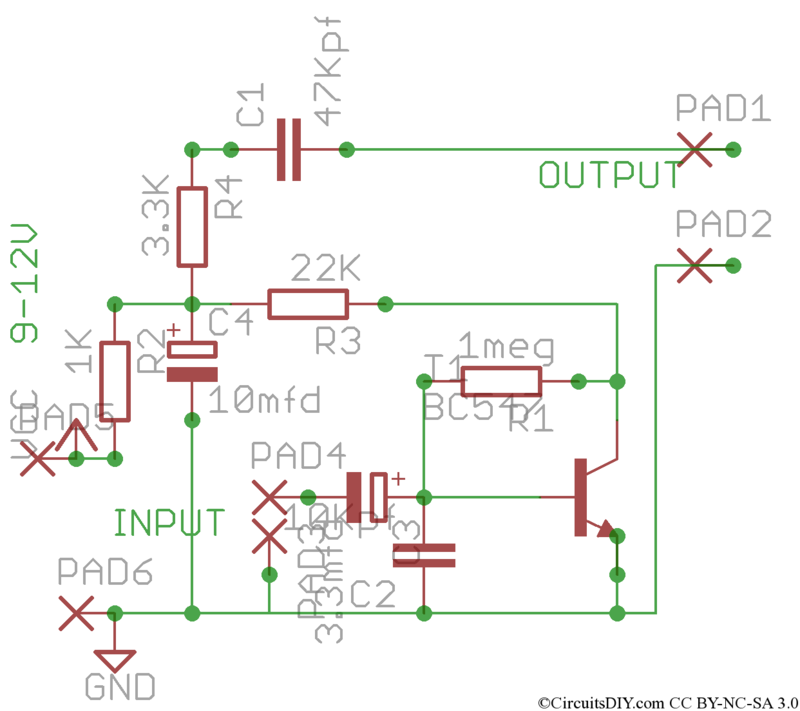 If you don’t need sound, why you’re playing with microphone and this circuit.